For other people with the same name, see John Montagu (disambiguation). 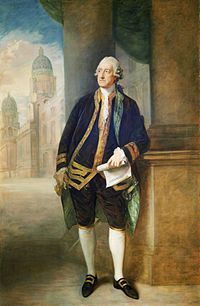 John Montagu, 4th Earl of Sandwich, PC, FRS (13 November 1718 – 30 April 1792) was a British statesman who succeeded his grandfather Edward Montagu, 3rd Earl of Sandwich as the Earl of Sandwich in 1729, at the age of ten. During his life, he held various military and political offices, including Postmaster General, First Lord of the Admiralty, and Secretary of State for the Northern Department. He is also known for the claim that he was the eponymous inventor of the sandwich. John Montagu was born in 1718, the son of Edward Montagu, Viscount Hinchingbrooke. His father died when John was four, leaving him as his heir. His mother soon remarried and he had little further contact with her. He succeeded his grandfather as Earl of Sandwich in 1729. He was educated at Eton and at Trinity College, Cambridge, and spent some time travelling, initially going on the Grand Tour around Continental Europe before visiting the more unusual destinations of Greece, Turkey, and Egypt which were then part of the Ottoman Empire. This led him to later found a number of Orientalist societies. On his return to England in 1739, he took his seat in the House of Lords as a follower of the Duke of Bedford, one of the wealthiest and most powerful politicians of the era. He became a Patriot Whig and one of the sharpest critics of the Walpole government, attacking the government's strategy in the War of the Austrian Succession. Like many Patriot Whigs, Lord Sandwich was opposed to Britain's support of Hanover and strongly opposed the deployment of British troops on the European Continent to protect it, instead arguing that Britain should make greater use of its naval power. He gained attention for his speeches in parliament. His oratory earned him a reputation for clearly setting out his argument even if he lacked natural eloquence. In 1744, the Duke of Bedford was invited to join the government, now headed by Henry Pelham, taking the post of First Lord of the Admiralty. Sandwich joined him as one of the Commissioners of the Admiralty, in effect serving as deputy under Bedford. The experienced Admiral Lord Anson also joined the Admiralty board and was an influential figure. Bedford spent much of his time at his country estate, and much of the day-to-day running of the Admiralty fell to Sandwich and Anson. Anson had control of the training and discipline of the navy, while Sandwich focused on the administration. Following a proposal by Admiral Edward Vernon, the concept of a Western Squadron was pioneered, which proved very successful. This marked a radical shift in British naval strategy, and led to British success at the Battles of Cape Finisterre. The following year, Sandwich took a commission as a Colonel in the British Army as part of the response to the Jacobite rising and the prospect of a French invasion. In order to boost the relatively small British army, a number of units were raised by prominent figures, and Sandwich served in the regiment formed by Bedford. While serving in The Midlands, he fell seriously ill with fever and nearly died. After his recovery, he returned to his duties at the admiralty. He remained an army officer for the rest of his life, remaining on the half-pay list and eventually rising to the rank of General, even though he took no further active part in the army. In 1746 he was sent as a plenipotentiary to the congress at Breda, and he continued to take part in the negotiations for peace until the Treaty of Aix-la-Chapelle was concluded in 1748. Sandwich was also made British Ambassador to the Dutch Republic during the talks. Using the resources of the British secret service, Sandwich was able to outmanoeuvre his French counterpart by intercepting the latter's secret correspondence. His service at Breda drew him to the attention of the influential Duke of Newcastle, who lobbied for him to be given high office when he returned home. It is possible that during his time at Breda, he played a role in the 1747 Dutch Revolution which brought The Prince of Orange wider powers, something supported by Britain as they hoped the Prince would improve the Dutch Republic's military performance in the ongoing war in the Low Countries. However, there is no firm evidence of this. In February 1748 he became First Lord of the Admiralty, retaining this post until June 1751. By 1751 Newcastle, who had previously admired Sandwich for his forthright and hardline views, had increasingly begun to distrust him and his relationship with The Duke of Bedford whom Newcastle regarded as a rival. Newcastle engineered the dismissal of both of them, by sacking Sandwich. Bedford resigned in protest, as Newcastle had calculated, allowing him to replace them with men he considered more loyal personally to him. The Duke of Bedford was a long-standing patron of Sandwich, and his support helped him further his career. For the next few years Sandwich spent time at his country estate, largely avoiding politics, though he kept in close contact with both Bedford and Anson and Britain's participation in the Seven Years' War. Partly thanks to naval reforms pioneered by Anson and Sandwich the Royal Navy enjoyed a series of successes and was able to blockade much of the French fleet in port. In 1763 he returned to the Admiralty in the government of John Stuart, 3rd Earl of Bute, and encouraged a major rebuilding programme for the Royal Navy. Bute was a Tory who wished to bring the war to an end, which he did with the Treaty of Paris. It was during this time that Sandwich first met Martha Ray who became his long-standing mistress. He was soon dismissed from the office, but was offered the influential position of Ambassador to Madrid. In August 1763 Sandwich became Secretary of State for the Northern Department, in the government of George Grenville who had replaced Bute. While filling this office he took a leading part in the successful prosecution of the radical M.P. John Wilkes for obscene libel. Although he had been allegedly associated with Wilkes in the notorious Hellfire Club (also known as the Monks of Medmenham), recent scholarship has suggested that the two had a more distant but cordial relationship than the friendship which was popularly portrayed at the time. John Gay's The Beggar's Opera was played in Covent Garden shortly thereafter, and the similarity of Sandwich's conduct to that of Jemmy Twitcher, betrayer of Macheath in that play, permanently attached to him that appellation. Wilkes was eventually expelled from the House of Commons. He held the post of Northern Secretary until July 1765. His departure from the post coincided with the end of George Grenville's term as Prime Minister. He hoped to return to office swiftly, provided a united opposition could be formed. In The State Tinkers (1780), James Gillray caricatured Sandwich (on left) and his political allies in the North government as incompetent tinkers. Sandwich was Postmaster General from 1768 to 1771 and briefly Secretary of State again from December 1770 to January 1771. Sandwich served again as First Lord of the Admiralty in Lord North's administration from 1771 to 1782. He replaced the distinguished Admiral Sir Edward Hawke in the post. His appointment to the post followed the Falklands Crisis which had nearly seen Britain go to war with Spain over the Falkland Islands in the South Atlantic Ocean after the Capture of Port Egmont by Spanish forces. War had only been averted when Louis XVI of France refused to back the Spanish over the dispute. Both France and Spain resented what they considered British hegemony following the Seven Years' War, and desired to overturn the imbalance of power; war was widely expected to break out between the nations in the near future. In 1774, only three years into his third term, Sandwich commissioned a series of ship models and a model of Chatham Dockyard as a gift to George III in an attempt to interest his king in naval matters. However, Sandwich's overall administration of the Navy in the lead up to and during the American War of Independence was traditionally portrayed as being incompetent, with insufficient ships being ready for the outbreak of war with France in 1778. When Britain and France went to war, Sandwich advocated a strategy of concentrating the British fleet in European waters to deter invasion in opposition to his colleague, Lord Germain, who pushed for more ships to be sent to North America. The cabinet largely followed Sandwich's policy, retaining footholds on the American coast which could be used as naval bases, while retaining the bulk of the fleet at home. Sandwich's problems increased when Spain entered the war on France's side in 1779 giving the Bourbon fleets a numerical advantage over the Royal Navy. Prior to 1778 Keppel failed to persuade Sandwich to ignore technical difficulties and "copper sheath only a few ships"; he was later possibly unfairly to make political capital out of this in The London Magazine, March 1781. He had remarked that coppering "gave additional strength to the navy" and he reproached Lord Sandwich with having "refused to sheath only a few ships with copper" at his request, when he had since ordered the whole navy to be sheathed. The lack of coppering the Navy was one of the key reasons leading to Britain losing the Thirteen Colonies. In 1778 the new Navy Board Controller Charles Middleton, who had the major problem at the time with supplying over 100 ships for the American Revolutionary War (1775–1783), compounded that same year (1778) by French opportunism in declaring war on Britain to support the American rebels, effectively turned what was a local civil war into a global conflict. Others followed Spain (1779) and the Netherlands in (1780). Middleton took the view that the Britain was "outnumbered at every station", and the Navy was required to "extricate us from present danger". He understood that coppering allowed the navy to stay at sea for much longer without the need for cleaning and repairs to the underwater hull, making it a very attractive, if expensive, proposition. He wrote on 21 January 1779 wrote to the Admiralty, and petitioned King George directly. The King backed him for what was an expensive process for an untested technology, and in May 1779 he placed orders at the Portsmouth Docks for coppering a total 51 ships within a year. During 1779 a combined Franco-Spanish fleet was able to sail into the English Channel to threaten the coast of Cornwall in the initial stage of a Franco-Spanish invasion of Britain. Sandwich was criticised for the failure of the smaller British Channel Fleet to prevent this, although the invasion never materialised. After 1778, the primary objective in the war was maintaining control over the sugar-rich West Indian archipelago The lucrative sugar trade in the Caribbean was reckoned at the time as being of more importance to British interests than the 13 colonies. The sugar trade was paying for the costs of the American Revolutionary War (1775–1783]] and the Anglo-French War (1778–1783). The Royal Navy's newly coppered ships as yet untested were used successfully by Rodney in defeating the French at the Battle of the Saintes off Dominica in February 1782. By the time Sandwich's administration ended, he would take full credit for coppering the fleet as one of his great achievements when defending his record in office in January 1782. Black & white reproduction of a pastel portrait of a lady of the Montagu family, possibly Dorothy, wife of 4th Earl of Sandwich, or his sister Elizabeth Courtenay, by Francis Cotes, RA, 1758. For several years Sandwich had as a mistress Fanny Murray, the subject of Wilkes' An Essay on Woman (1763), but he eventually married Dorothy Fane, daughter of the 1st Viscount Fane, by whom he had a son, John, Viscount Hinchingbrooke (1743 – 1814), who later succeeded as 5th Earl. Sandwich's first personal tragedy was his wife's deteriorating health and eventual insanity. During his wife's decline, Sandwich started an affair with the talented opera singer Martha Ray. During their relationship, Ray bore him at least five and perhaps as many as nine children, including Basil Montagu (1770 – 1851), writer, jurist and philanthropist. Tragedy was to strike again in April 1779 when Ray was murdered in the foyer of the Royal Opera House at Covent Garden by a jealous suitor, James Hackman, Rector of Wiveton. Sandwich never recovered from his grief. The events surrounding Ray's murder were depicted in a popular novel Love and Madness (1780) by Herbert Croft. In a famous exchange with the actor Samuel Foote, Sandwich declared, "Foote, I have often wondered what catastrophe would bring you to your end; but I think, that you must either die of the pox, or the halter." "My lord", replied Foote instantaneously, "that will depend upon one of two contingencies; -- whether I embrace your lordship's mistress, or your lordship's principles." This retort is often misattributed to John Wilkes. Sandwich retired from public duty in 1782, and lived another ten years in retirement at the family seat, Hinchingbrooke House, Huntingdonshire, dying on 30 April 1792. His title of Earl of Sandwich passed to his eldest son, John Montagu, 5th Earl of Sandwich, who was 48 at the time. Sandwich retired in 1782. Despite the number of important posts that he held during his career, Sandwich's incompetence and corruption inspired the suggestion that his epitaph should read: "Seldom has any man held so many offices and accomplished so little." Recently, some historians have begun to suggest that Lord Sandwich was not perhaps as incompetent as suggested, but that previous historians have placed too much emphasis on sources from his political enemies. The modern sandwich is named after Lord Sandwich, but the exact circumstances of its invention and original use are still the subject of debate. A rumour in a contemporaneous travel book called Tour to London by Pierre-Jean Grosley formed the popular myth that bread and meat sustained Lord Sandwich at the gambling table. But Sandwich was into many bad habits, including the Hellfire club, and any story may be a creation after the fact. Lord Sandwich was a very conversant gambler, the story goes, and he did not take the time to have a meal during his long hours playing at the card table. Consequently, he would ask his servants to bring him slices of meat between two slices of bread, a habit well known among his gambling friends. Other people, according to this account, began to order "the same as Sandwich! ", and thus the "sandwich" was born. The sober alternative to this account is provided by Sandwich's biographer N. A. M. Rodger, who suggests that Sandwich's commitments to the navy, to politics, and to the arts mean that the first sandwich was more likely to have been consumed at his work desk. The original sandwich was a piece of salt beef between two slices of toasted bread. 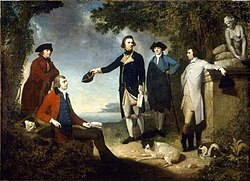 Dr Daniel Solander, Sir Joseph Banks, Captain James Cook, Dr John Hawkesworth and Lord Sandwich by John Hamilton Mortimer, 1771. Use a cursor to see who is who. Lord Sandwich was a great supporter of Captain James Cook. As First Lord of the Admiralty, Sandwich approved Admiralty funds for the purchase and fit-out of the Resolution, Adventure and Discovery for Cook's second and third expeditions of exploration in the Pacific Ocean. He also arranged an audience with the King, which was an unusual privilege for a lower ranking officer. In honour of Sandwich, Cook named the Sandwich Islands (Hawaii) after him, as well as Montague Island off the south east coast of Australia, the South Sandwich Islands in the Southern Atlantic Ocean and Montague Island in the Gulf of Alaska. Hinchinbrook Island was named for the House owned by the Montagu family. Lord Sandwich donated the various items given him by Cook to Trinity College at the University of Cambridge. He also met the young Ra'iatean Omai, whom Cook had brought to Europe, and took him to his country estate for a week, presenting him with a suit of armour. Like his friends John Russell, 4th Duke of Bedford and George Montagu-Dunk, 2nd Earl of Halifax, Sandwich was keen on cricket. The earliest surviving record of his involvement in the sport comes from 1741 when, as the patron and captain of the Huntingdonshire county team, Sandwich and Halifax formed the Northamptonshire & Huntingdonshire team which twice defeated Bedfordshire, first at Woburn Park and then at Cow Meadow, Northampton. After his naval career, Sandwich turned his energy toward music. He became a great proponent of "ancient music" (defined by him as music more than two decades old). He was the patron of the Italian violinist Felice Giardini, and created a "Catch Club", where professional singers would sing "ancient" and modern catches, glees, and madrigals. He also put on performances of George Frideric Handel's oratorios, masques, and odes at his estate. Sandwich was instrumental in putting together the Concert of Ancient Music, the first public concert to showcase a canonic repertory of old works. ^ "Montagu, John (MNTG735J)". A Cambridge Alumni Database. University of Cambridge. ^ "Curator's pick - George III's ship models". National Maritime Museum. Retrieved 2018-03-03. ^ "Researching maritime history at No.1 Smithery". National Maritime Museum. Retrieved 2018-03-03. ^ "Keppel and Sandwich". phrases.org.uk. Retrieved 28 December 2017. ^ Snow, Dan (2010). "Empire of the Seas: How the Navy Forged the Modern World" (Episode 3 of 3). BBC TWO. ^ Knight, R. J. B. "The introduction of copper sheathing into the Royal Navy, 1779-1786" (PDF). rogerknight.org. Retrieved 28 December 2017. ^ "Fourth Earl of Sandwich". www.hinchhouse.org.uk. Retrieved 2016-06-25. ^ Waghorn, Cricket Scores, p. 27. Baker-Smith, Veronica (2008). 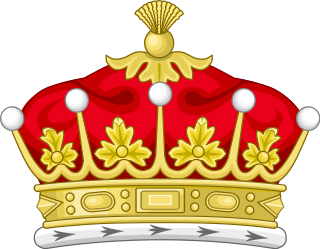 Royal Discord: The Family of George III. Athena Press. pp. 232 pages. ISBN 1847480675. Black, Jeremy (2005) . The Continental Commitment: Britain, Hanover and Interventionism, 1714-1793. Routledge. pp. 292 pages. Levy, Martin (Jan 2005). Love & Madness: The Murder of Martha Ray, Mistress of the Fourth Earl of Sandwich Paperback. Harper Perennial. pp. 240 pages. ISBN 0060559756. Longmate, Norman (2001). Island Fortress: The Defence of Great Britain, 1603-1945. Pimlico. Rodger, N. A. M (1994). The Insatiable Earl: A Life of John Montagu, Fourth Earl of Sandwich. London: Harper Collins. W. W. Norton & Co. pp. 425 pages. ISBN 0393035875. Syrett, David (1998). The Royal Navy in European Waters During the American Revolutionary War. University of South Carolina. Whiteley, Peter (1996). Lord North: The Prime Minister Who Lost America. Hambledon Press. This article incorporates text from a publication now in the public domain: Chisholm, Hugh, ed. (1911). "Sandwich, John Montagu, 4th Earl of" . Encyclopædia Britannica. 24 (11th ed.). Cambridge University Press. "Montagu, John, 4th Earl of Sandwich (MNTG735J)". A Cambridge Alumni Database. University of Cambridge. "Montague family history page". Archived from the original on 18 May 2000. Frederick North, 2nd Earl of Guilford,, better known by his courtesy title Lord North, which he used from 1752 to 1790, was Prime Minister of Great Britain from 1770 to 1782. He led Great Britain through most of the American War of Independence. He also held a number of other cabinet posts, including Home Secretary and Chancellor of the Exchequer. Admiral of the Fleet Richard Howe, 1st Earl Howe, was a British naval officer. After serving throughout the War of the Austrian Succession, he gained a reputation for his role in amphibious operations against the French coast as part of Britain's policy of naval descents during the Seven Years' War. He also took part, as a naval captain, in the decisive British naval victory at the Battle of Quiberon Bay in November 1759. Earl of Sandwich is a noble title in the Peerage of England and the House of Montagu, nominally associated with Sandwich, Kent. It was created in 1660 for the prominent naval commander Admiral Sir Edward Montagu. He was made Baron Montagu, of St Neots in the County of Huntingdon, and Viscount Hinchingbrooke, at the same time, also in the Peerage of England. The viscountcy is used as the courtesy title by the heir apparent to the earldom. A member of the prominent Montagu family, Lord Sandwich was the son of Sir Sidney Montagu, youngest brother of Henry Montagu, 1st Earl of Manchester, and Edward Montagu, 1st Baron Montagu of Boughton. Admiral of the Fleet George Anson, 1st Baron Anson, was a Royal Navy officer. Anson served as a junior officer during the War of the Spanish Succession and then saw active service against Spain at the Battle of Cape Passaro during the War of the Quadruple Alliance. He then undertook a circumnavigation of the globe during the War of Jenkins' Ear. Anson commanded the fleet that defeated the French Admiral de la Jonquière at the First Battle of Cape Finisterre during the War of the Austrian Succession. George Brydges Rodney, 1st Baron Rodney, KB, was a British naval officer. He is best known for his commands in the American War of Independence, particularly his victory over the French at the Battle of the Saintes in 1782. It is often claimed that he was the commander to have pioneered the tactic of "breaking the line". John Russell, 4th Duke of Bedford was an 18th-century British statesman. He was the fourth son of Wriothesley Russell, 2nd Duke of Bedford, by his wife, Elizabeth, daughter and heiress of John Howland of Streatham, Surrey. Known as Lord John Russell, he married in October 1731 Diana Spencer, daughter of Charles Spencer, 3rd Earl of Sunderland; became Duke of Bedford on his brother's death a year later; and having lost his first wife in 1735, married in April 1737 Lady Gertrude Leveson-Gower, daughter of John Leveson-Gower, 1st Earl Gower. Admiral Augustus John Hervey, 3rd Earl of Bristol, PC was a Royal Navy officer and politician. He commanded the sixth-rate HMS Phoenix at the Battle of Minorca in May 1756 as well as the third-rate HMS Dragon at the Capture of Belle Île in June 1761, the Invasion of Martinique in January 1762 and the Battle of Havana in June 1762 during the Seven Years' War. He went on to be Chief Secretary for Ireland and then First Naval Lord. He was known as the English Casanova, due to his colourful personal life. Admiral Charles Middleton, 1st Baron Barham PC was a Royal Navy officer and politician. As a junior officer he saw action during the Seven Years' War. Middleton was given command of a guardship at the Nore, a Royal Navy anchorage in the Thames Estuary, at the start of the American War of Independence, and was subsequently appointed Comptroller of the Navy. He went on to be First Naval Lord and then First Lord of the Admiralty. Middleton also played a crucial role in the abolition of the slave trade. Admiral Augustus Keppel, 1st Viscount Keppel PC was a Royal Navy officer and politician who sat in the House of Commons from 1755 to 1782. He saw action in command of various ships, including the fourth-rate Maidstone, during the War of the Austrian Succession. He went on to serve as Commodore on the North American Station and then Commander-in-Chief, Jamaica Station during the Seven Years' War. After that he served as Senior Naval Lord and then Commander-in-Chief of the Channel Fleet. Edward Montagu, 1st Earl of Sandwich, KG, FRS was an English landowner and Infantry officer who later became a naval officer and a politician who sat in the House of Commons at various times between 1645 and 1660. He served Oliver Cromwell loyally in the 1650s, but went on to play a considerable part in the Restoration of Charles II, and was rewarded with several Court offices. He served as the English Ambassador to Portugal 1661-1662, and Ambassador to Spain 1666-1668. He became an Admiral, serving in the two Anglo-Dutch Wars in the reign of Charles II, and was killed at the Battle of Solebay. Our best picture of him is contained in the diary of Samuel Pepys, who was his cousin and protégé. Nicholas Andrew Martin Rodger FBA is a historian of the Royal Navy and senior research fellow of All Souls College, Oxford. John Montagu, 5th Earl of Sandwich, PC, styled Viscount Hinchingbrooke until 1792, was a British peer and Tory politician. Captain Lord Robert Manners was an officer of the Royal Navy and nobleman, the second son of John Manners, Marquess of Granby and Lady Frances Seymour. Vice Admiral George Darby was a Royal Navy officer. He commanded HMS Norwich at the capture of Martinique in 1762 during the Seven Years' War. He went on to command the Channel Fleet during the American Revolutionary War and later in that war served as First Naval Lord when he commanded the force that relieved Gibraltar from its siege by the Spanish in April 1781. Edward Richard Montagu, Viscount Hinchingbrooke was a British Army officer and politician who sat in the House of Commons from 1713 to 1722. Admiral Sir William Domett, GCB was a senior officer of the British Royal Navy who saw extensive service during the American Revolutionary, French Revolutionary and Napoleonic Wars. Throughout his career, Domett was under the patronage of Alexander Hood, later Lord Bridport. During his service Domett was appointed as flag captain by several admirals, and saw action numerous times in this capacity, including seven years in command of HMS Royal George. He went on to be First Naval Lord and then Commander-in-Chief, Plymouth during the closing stages of the Napoleonic Wars. Later in life, ill-health forced early retirement and Domett retired to his country estate in Hawkchurch, Devon, close to Lord Bridport's estates. Sir John Moore, 1st Baronet, KB was a British officer of the Royal Navy during the War of the Austrian Succession and the Seven Years' War. He eventually rose to the rank of admiral. Rear-Admiral John Leveson-Gower was a Royal Navy officer and politician from the Leveson-Gower family. As a junior officer he saw action at the Battle of Lagos in August 1759 during the Seven Years' War. As captain of HMS Valiant he was present at the Battle of Ushant on 17 July 1778 during the American War of Independence. He went on to be a junior Lord of the Admiralty and then First Naval Lord. He also sat as Member of Parliament for several constituencies.